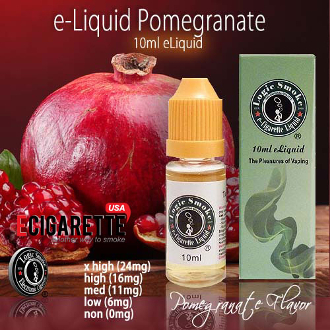 Our Pomegranate E-liquid from Logic Smoke is a sophisticated fruity flavor that will please your palate and leave a gently sweet aroma in the air following your exhale. Its flavor is true to life and will satisfy your fruity sweet tooth. Pick up a bottle of Logic Smoke E-liquid today and sophisticate your taste buds.